Welcome to the LAST Sewing With Certainty topic linky party! Can you believe it? February 16: Prizes awarded from all Linky Parties - prizes TBA soon from 1 Choice 4 Quilting and myself! 1. Motivation: I blog because it's something I enjoy. I do not write posts I don't want to write. That's why sometimes I post a day or two later than intended - maybe I was sewing or finishing up a project, and that was more important to me at the moment. Sometimes, though, I get the urge to write. One way I balance my time often is by writing parts of posts when I feel inspired, and then I finish them later on. At any one time, you might see 4 or 5 unfinished posts lined up in my post tab. :) Blogging takes a lot of work and time (more than I care to admit sometimes) but it is so worth it to me when it all comes together. You have to make it work for you - sometimes I draw up a mental schedule in my head for the week, but I allow it to change. I usually try to post 2-5 times a week; that varies on what I'm working on and what is going on in blogland that I am participating in. 2. Engaging content: If you want to write a blog, you have to make it interesting (if it's interesting to you, it will come out in your writing). Additionally, I almost always include a picture - I am a visual person and I know many readers (who stare at fabric and quilt patterns!) are, too. You have to find a balance between knowing when to write a lot and when to write a little. For example, sometimes it makes sense to just post a picture and a couple words about a project I am starting (though Instagram, I find, works even better for this). For a WIP (work in progress) or Finish post, if you have a lot to say, you should say it! Your readers are interested in knowing how you went about something (remember the Process Pledge? ); personalized posts with lots of details make for good reading and great inspiration. 3. Awesome pictures: There are tons of great tutorials/posts out there about taking great pictures. It's become one of my favorite parts of the process - when there's a finish, I need to figure out where a good picture can be taken. By the way, I don't use a fancy-schmancy camera - I have a pretty old Canon Powershot, and sometimes I use my phone (though lately the husband has been begging to take pictures with his fancy-schmancy camera, so I let him. Almost all the pics in this post were not taken with it). I always, always, always go for the outside shot for finished quilts, because nothing looks better on a quilt than natural light (*this is my opinion but lots of bloggers agree!). Sometimes I go for the artsy photos, and sometimes the straight on ones look best. 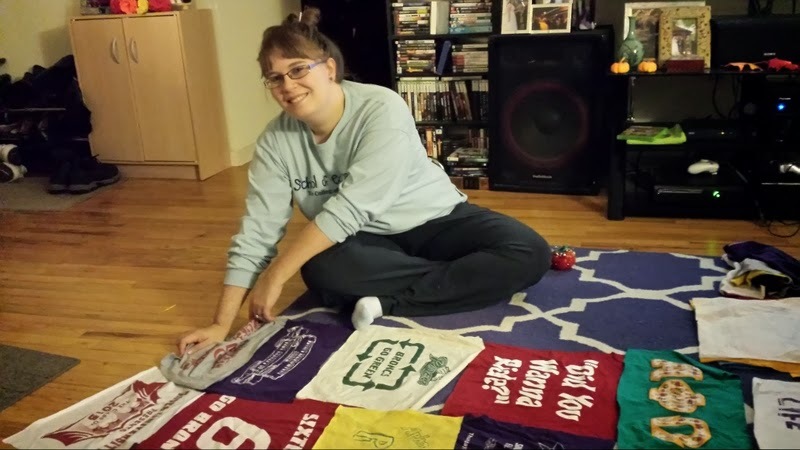 Take a whole bunch, invest in some fun quilty partners to take the pictures/hold up the quilt, and you've got yourself a fun photoshoot. Don't be afraid to show the "behind the scenes" - that's what makes your blog fun to read! 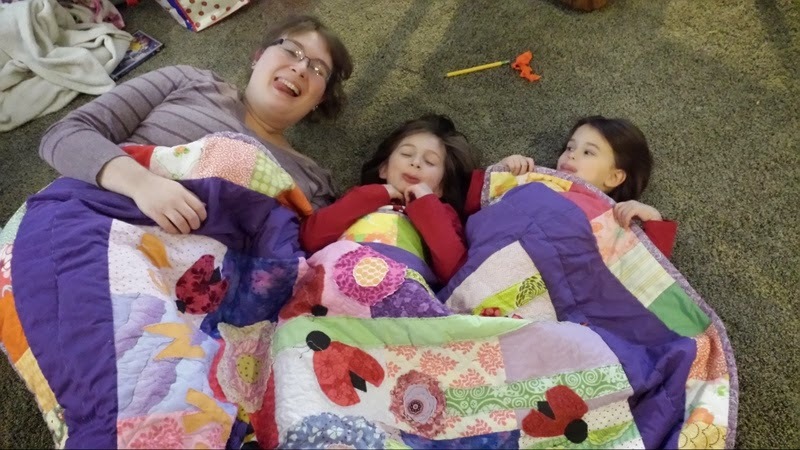 Curled up with my nieces on our recent trip to Maine :) This is one of the first quilts I ever made - it's my oldest niece's. Brave the snowstorm! I dare you! I also try to take pictures of the process and of sewing on the machine during the day. Nighttime pictures just don't look that wonderful. And on a blog, "look" can mean a lot. It means a lot just to me. Which is why it's worth it to wait for the sun! This picture was taken at night, but looking back, I know it would have looked better the next day. It was a process photo, though, and I knew I was going to get farther with the quilting, so I decided to fly with it. 4. Easy, accessible layout: This is still something I struggle with, though I've switched (probably forever) to a white background - I like the crisp, clean look. Who knows, though, I might change my mind suddenly :) When a reader, old or new, visits your blog, and they can get to your social media icons, pages, and links easily, you are in good shape. I'm not here to give you the how-to on everything Blogger (and sorry, I know nothing about Wordpress) but you really can learn your away around with some practice. I like to think I'm pretty good with Blogger, so if you have a specific question, I'd be happy to help. Try and figure out what works best for your blog. 5. Linking up and making connections with other bloggers: This step is so, so important and so wonderful! Even without a blog, of course, it's possible to make friends with bloggers by commenting on their posts and emailing them. However, when you have a sewing blog that is up to date, the blogger you are in contact with will likely visit your blog, too. You might both be inspired by what the other sees, and you can cheer each other on through comments whenever one of you posts. I have several friends like this and I am so lucky to have such a wonderful, long-distance, quilty support system! Also, one of my favorite ways to connect with bloggers is being friends with them in person; some of my fellow CJMQGers like Rachel, Jess, and Kristina read each others' blogs. Now it's your turn! Some questions you might consider for your post: What is your advice for starting and/or managing and/or writing a sewing blog? What is your favorite part about blogging? Why do you blog? 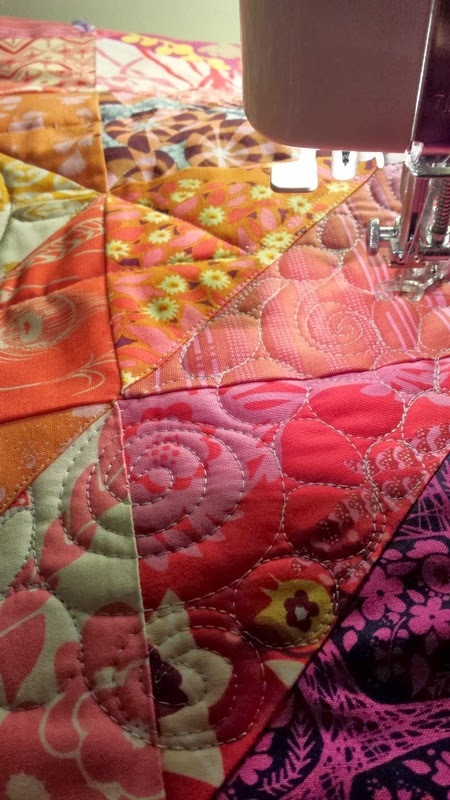 How does blogging affect your quilting? This has been an awesome series. I learned so much reading your posts. Check back next week for a final link up of your goals, and later this week for the prize post! I can't believe we're almost done! Great ideas, Jess : ) And it's funny about the crisp white background, which I also use, because the eye can read light print on dark background more easily and for blogs I had long ago, I used that color scheme. But I definitely find reading about color and quilt design cleaner and more exciting on white - maybe because it really brightens up photos! Can I link up the same post from last time? Haha...nah I'll try to come up with something new. Love all your photos! Especially the ones at the beach. I definitely agree that it takes time and work to maintain a blog! I have started two different blogs for distinct purposes, and both pretty much fell by the wayside. One was advice on having twins http://twinadvice.blogspot.com/ which I at least posted enough to hopefully be helpful to anyone expecting twins and dealing with the first months of that. The other one I started documented a house project we did http://remadeinma.wordpress.com/ and it went okay for a little while, but I got behind very quickly. The problem for me was the pictures — unloading, selecting, fixing if needed, and getting them into the right place/format took me too much time. Then for a while I just put in text, meaning to put the pictures in later, but...it never happened, and eventually, I stopped posting entirely. Sigh. Oh, well, what is there documents it to a certain point, which is fun for me to look back on, and we do have zillions of picture from the project to look at, too. 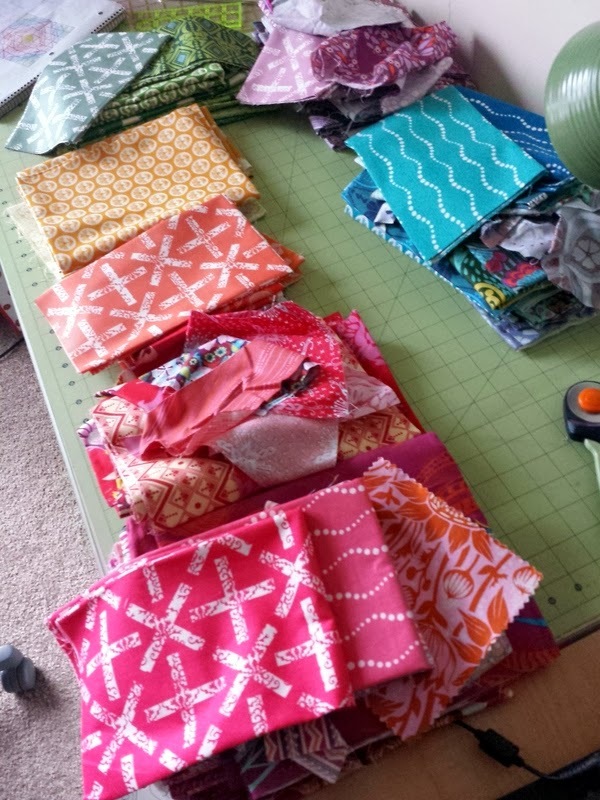 But every time I think, "I should make a blog, and post about my sewing," it's followed by, "Um...the last couple of blogs didn't turn out that great." I'm so glad I came across your blog through the MQG's facebook page! I agree with your reasons for keeping a sewing blog. I love both the record of my work and the connections I make with others from all over the world. You make me want to blog more (my current schedule is about once a month)! You share many great points here, Jessica. And I agree with each of them. Number 5 has been the most unexpected blessing blogging has provided. So glad to have met you and so many others! Love all the fun, smily pics in this post, too!